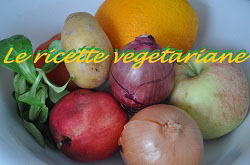 Here is a vegetarian dish that is good for many occasions and also lends itself to some variations. It can be used as a main course for a vegetarian lunch or, cut into small portions, as a hot appetizer; alone or together with other starters. And it also allows us a lot of freedom in the quantities and in the choice and presentation of the ingredients. For the cheeses that garnish it we can range from parmesan to mozzarella up to pecorino; and even, for a more special touch, a Gruyere. And the onions can be left in long pieces or, for convenience in eating them, cut into large rings. In any case we will get a dish with a marked flavor enclosed in a very crispy puff pastry. Since the preparation of the various ingredients does not take long, start by turning on the oven (static) to 190 ° C.
Then cover a baking sheet with parchment paper and lay the puff pastry (using the puff pastry rolled out, it will take half of a standard roll). Keep it cool while preparing the other ingredients. Clean and wash the spring onions and halve them, both for the long and the wide (see following pictures) and place them on a tray. Season with EVO oil, salt, pepper and half of the cheese (or cheese) chosen. Helping with the hands mix everything. Arrange on the puff pastry, suitably sprinkled with a little grated cheese (and, if you want to exaggerate, a little breadcrumbs) the mixture of spring onions and cheese. ... and cook in the preheated oven at 190 ° C for about 25 minutes. Time, as always, is indicative, depends on the oven; if this period has elapsed, the threshold still appears to be pale, raise the temperature by about ten degrees and prolong cooking for a few minutes. Conversely, shorten the cooking. Remove from the oven and slide on a tray, then remove the baking paper. Serve immediately still very hot. Formaggio: here used the diced mozzarella, previously cut and left to drain, together with grated Parmesan cheese.